Did you sign up for the Present & Profitable Challenge but then life happened and you didn't get to participate? Wondering why all the hoopla about this challenge? If so, then be sure to listen to today's episode where we recap lessons we learned from facilitating this free experience. Today on the podcast, we're talking about 4 lessons learned from The Present & Profitable 10 Day Challenge. 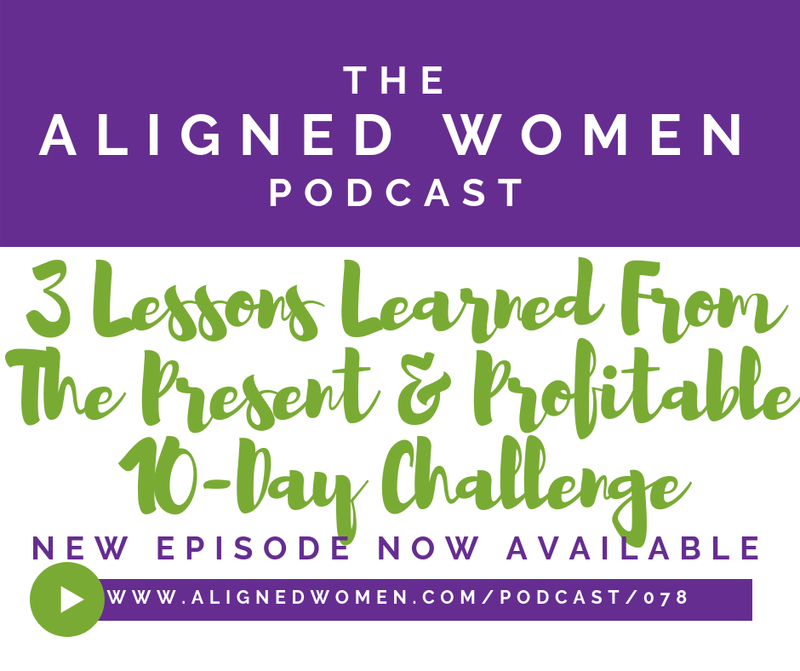 If you'd like to experience the Present & Profitable Challenge, head over to www.alignedwomen.com/present and sign up today!